Why Buy From Big Island Motors? 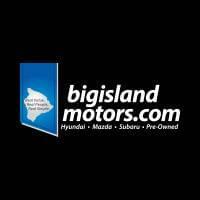 If you’re shopping for a new car or need professional auto repairs on Hawaii’s Big Island, come to the team you can trust: Big Island Motors. We sell new and used Subaru, Mazda and Hyundai vehicles at our car dealerships in Hilo, HI, and Kona, HI, giving you the variety you deserve when buying a car. Plus, bring your car to the Big Island Motors service centers and you’ll get high-quality repairs for a great low price. No matter what you need, you can count on Big Island Motors: Real Value. Real People. Real Simple. Explore the selection of new Subaru, Hyundai and Mazda vehicles for sale at Big Island Motors and it won’t take long for you to find the right new car, truck, van or SUV. Come buy or lease a new Subaru Outback or Forester SUV to upgrade your daily adventures, or check out the new Mazda model lineup to get a sporty new ride. You can also test-drive a new Hyundai Sonata or Elantra sedan to get the fuel-efficient car you’ve been searching for. Then when it comes time for routine car repairs, you can easily schedule service at Big Island Motors in Kona or Hilo. Contact Big Island Motors if you have any questions and start planning your visit now! We have the largest inventory of used cars on the Big Island! Big Island Motors has been locally-owned and -operated since 1962, meaning we’ve proudly served the Hilo and Kona communities for more than 50 years! Live in Kona but interested in a car at our Hilo Subaru dealership or vice versa? We’ll bring the car from the other side of the island right to you! Our Subaru, Hyundai and Mazda dealerships offer one upfront price so that you always know what you’re paying. There are no games or gimmicks at Big Island Motors. We offer extended warranties so that you can enjoy added coverage for your new car. Big Island Motors is firmly rooted in the community, and we take pride in helping with local charities and organizations like the American Heart Walk Association and the local Humane Society.